An Alcohol Exclusion Law (AEL) gives insurance companies the right to deny coverage to any person who, at the time of injury, seeks medical attention under the influence of alcohol or any drug not currently prescribed to them by a physician. Texas currently has an Alcohol Exclusion Law in their insurance code. It is under the Uniform Accident and Sickness Policy Provision, UPPL, 1201.227: Intoxicants and Narcotics, for private insurance companies in Texas. The law even applies if alcohol is legally consumed and an injury is sustained. Texas State law Explicitly forbids payment of a claim that is alcohol or drug-related. If your medical providers coded your claim as alcohol or drug-related you will need to dispute the diagnosis if you believe it’s incorrect. An older woman is celebrating her 25-year wedding anniversary with her family. She legally drinks some wine with her meal. They finish the celebration and along with her husband, she walks to their vehicle. On the way, she catches her heel in a crack in the sidewalk and falls, breaking her wrist in the process. She is transported to the emergency room and treated for her injuries. If the doctor issues a blood test and that test is positive for alcohol in her system, her insurance company can deny payment under the Alcohol Exclusion Law even though she was only walking to her car and did not break the law nor was she drunk. The National Association of Insurance Commissioners (NAIC), an organization of insurance regulators in the 50 states, adopted the Alcohol Exclusion Law as part of the UPPL model law in 1947.2 State could individually adopt this law as part of their insurance code should they choose. In 1955, Texas voted to make UPPL a part of the state insurance code. 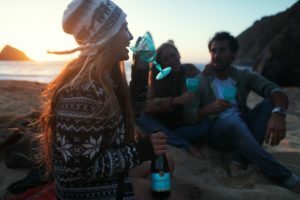 To date, 27 states explicitly allow Alcohol Exclusion Laws, 9 states implicitly allow Alcohol Exclusion Laws and 14 states plus the District of Columbia have prohibited the use of Alcohol Exclusion Laws. A youth under age 21 falls while at a party. They hit their head on the ground and get a black eye. They are transported to the hospital for stitches and examination. The doctor and nurses smell alcohol on the youth. 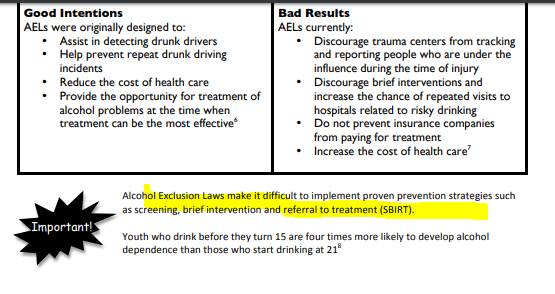 Because of the AEL, the youth is not screened to identify risky drinking behaviors; insurance covers the expense. A year later, the youth is at the ER for a broken wrist and again smelling of alcohol. The wrist is treated; insurance covers the costs: no data, no screening, and no intervention. The cycle continues. Did you know that Texas provides low cost vaccines if your private insurance does not cover the cost? The Texas Vaccines for Children (TVFC) program provides low-cost vaccines to eligible children from birth through 18 years of age if your private insurance coverage does not include vaccines or only includes select vaccines. 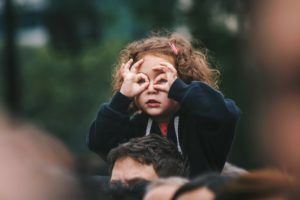 The only requirement is that the children must be seen by a Federally Qualified Health Center (FQHC), Regional Health Clinic (RHC), or deputized clinic. I recommend low-cost shots at our county health department. I live in Bexar County San Antonio and I just took my kids. Upon arrival, you get a clipboard. Just fill in the child’s info, put your insurance information in and check the box “insurance does not cover immunizations”. Bring your current UHC id card – and they will call to confirm that your insurance is in force and inquire to confirm that it does not cover vaccines. Once they find out that vaccines are NOT covered they charge a very low fee – approximately $19 per series. The cost for my 12-year-old daughter, for 2 entire series, was $38. It took about 30 minutes and they provide the complete shot record for school for free. Texas retired teachers saw more expensive health insurance plans through the state this year. The state is considering further premium hikes, which Lt. Gov. Dan Patrick has spoken against. The health insurance program for retired teachers faces a $410 million shortfall next budget cycle. About 36,000 retired teachers and their dependents abandoned their state-created health insurance system this year after Texas officials enacted higher deductibles and premiums. Most of the retirees who left were 65 or older and opted to choose cheaper Medicare plans elsewhere, putting the Teacher Retirement System of Texas’ health insurance system, called TRS-Care, and its remaining 230,000 members at risk of a bigger shortfall in the future. In previous years, the number of retirees who dropped out of the system has been about 1,500 or less per year. 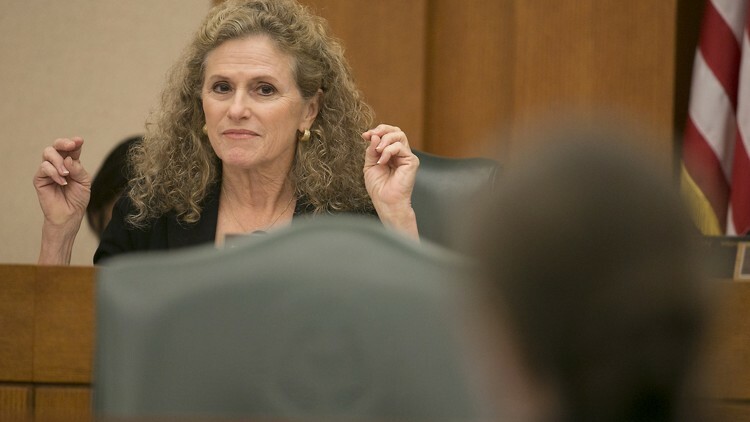 The system expects a $410 million shortfall in the 2020-21 budget cycle, system officials told a Texas House Appropriations subcommittee Wednesday. “We need to find some sustainable revenue streams and not continually be looking at how do we alter our eligibility and our benefits packages to what I think is ultimately at the detriment of our retired teachers,” state Rep. Donna Howard, D-Austin, said during the hearing. To stave off a $1 billion shortfall, the Legislature in 2017 injected $484 million into the system over the next two years, but lawmakers also increased premiums and deductibles for some retired teachers by paring down the number of health care plans, including eliminating a $0 premium plan. After retirees complained to lawmakers about the higher costs later that summer, the Legislature during a special session added an additional $212 million to the system to lower premiums and deductibles, but it wasn’t enough to keep some retirees and their dependents in the system. 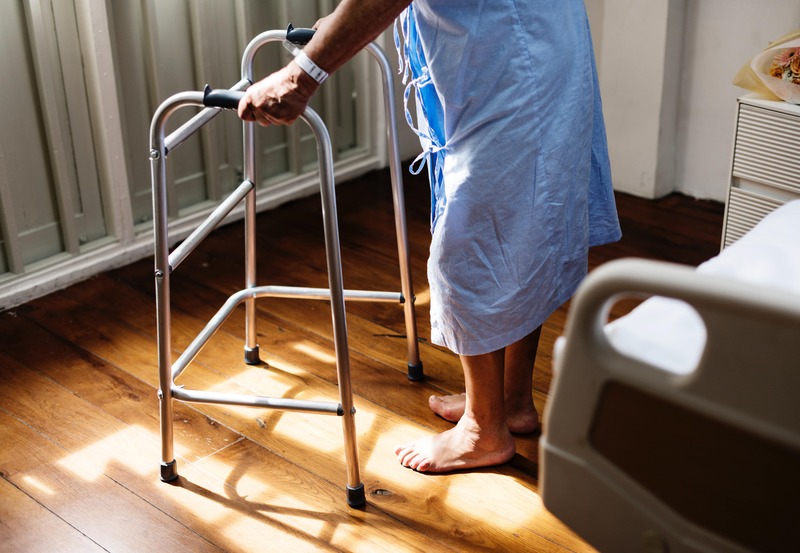 “The average per-retiree contribution rates to care increased by nearly 50 percent in 2018. That was a shock to the system for many of them and proved to be very expensive,” Brian Guthrie, executive director of the Teacher Retirement System, told lawmakers. The Teacher Retirement System board will consider at the end of the month increasing premiums by $600 per year starting in 2019 for retirees who are under age 65 and not eligible for Medicare. Guthrie said Wednesday that it’s unlikely the board will approve the increase. This comes after Lt. Gov. Dan Patrick last month sent a letter to the board saying the Legislature would try to help fill the funding hole if the board forgoes the premium increases to those under age 65. The premium hikes would have dropped the expected 2020-21 shortfall from $410 million to $246 million. Last session, system officials estimated the shortfall for the 2020-21 biennium to be closer to $700 million, but Guthrie said the figure was cut nearly in half partly as a result of lower than expected claim costs and renegotiated contracts with pharmacy benefits management companies. Even so, teacher groups told lawmakers Wednesday the state needs more sustainable funding options. Currently, TRS-Care is funded largely by contributions from the state, current and retired teachers and school districts based on total salaries paid to active teachers. Growth in teacher salaries hasn’t kept up with the cost of health care for retirees — 3 percent versus 7.5 percent, according to Guthrie — contributing to the system’s budget shortfall. A third of the system was funded by the state during the current budget cycle and 40 percent by current and retired teachers. Why are retired teachers leaving? Tim Lee, head of the Texas Retired Teachers Association, told lawmakers that retirees over the age of 65 are having problems finding doctors who accept the state’s health insurance and have had trouble contacting TRS-Care representatives for help. Agents with other insurance companies see the disenchantment and offer more desirable plans, he said. Currently, once retirees over age 65 opt out, they can’t buy health insurance from the system again. Monty Exter with the Association of Texas Professional Educators said the retirement system needs to eliminate that policy. “To not let folks back into the system … is frankly against every free-market principle that a large majority of the legislators who make up this body have run on in the past,” Exter said. Exter also suggested that the retirement system expand its list of free or low-cost prescription drugs for retirees. Teacher groups have feared that if too many retirees, especially those who are healthy, opt out of TRS-Care, its unfunded liability will continue to balloon, which could translate into even higher costs for those retirees remaining in the system. State Rep. Helen Giddings, D-DeSoto, said she didn’t want retirees sacrificing quality of care for cost savings. “It seems to me that if you can’t afford it, that does indirectly affect the quality of the care that you get,” Giddings said. At Health Life Dental Insurance we have a solution. Don’t sacrifice quality of care for cost savings! Click here for an instant quote.